If you believe you can’t do something, the chances are you won’t try. But what if you really could get better at maths, or sport or exams? In fact, what if you could excel at anything you put your mind to? 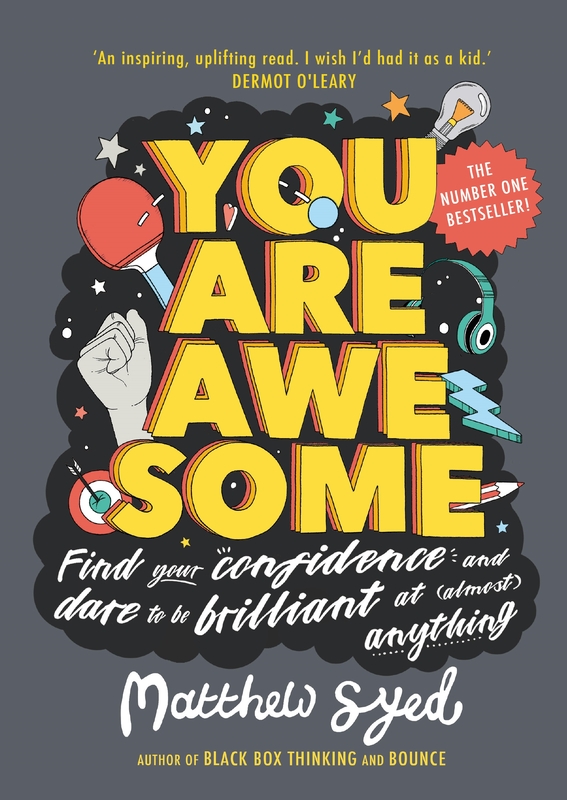 You Are Awesome can help you do just that, inspiring and empowering young readers to find the confidence to realise their potential. The first children’s book from Times journalist, two-time Olympian and best-selling mindset author Matthew Syed, it uses examples of successful people from Mozart to Serena Williams to demonstrate that success really is earned rather than given, and that talent can be acquired. With hard work and determination, practice and self-belief, and, most importantly, a Growth Mindset, there’s no reason why anyone can’t achieve anything. Matthew Syed is a columnist for The Times, an acclaimed author and a former international table tennis champion. He is also a trustee of Greenhouse Sports, a charity that empowers young people from disadvantaged communities through sport. Matthew is married, and has two young children. Amazing book. My 11 year old son found it incredibly inspiring and often quotes from it. Inspirational read. Taught my children that with hard work and determination they can do anything! This book completely changes your outlook and attitudes, with the potential to be life-changing. Thought-provoking and inspiring in equal measure for children, young people and adults alike.